We provide a friendly, professional and complete service, from the initial consultancy through to the removal, restoration and installation of traditional and modern stained glass windows. 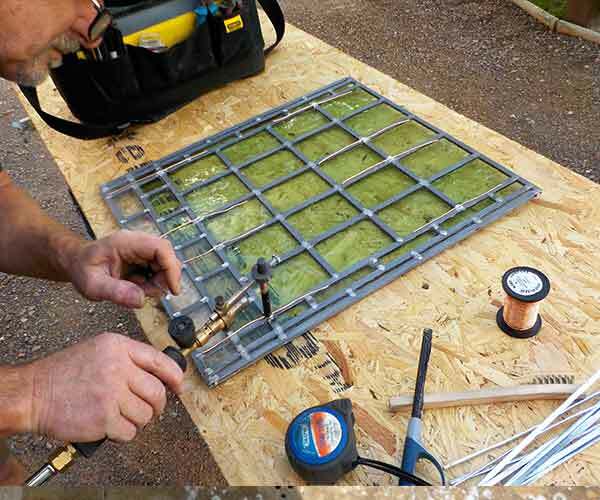 For more than a quarter of a century Glasswood has established an excellent reputation in the field of conservation, restoration and reproduction of historic windows. We treat every project with respect and are sympathetic to the integrity of the buildings we are working on. We provide a friendly, professional and complete service, from the initial consultancy through to the removal, restoration and installation of traditional and modern stained glass windows.We treat every project with respect and are sympathetic to the integrity of the buildings we are working on. For more than a quarter of a century Glasswood has established an excellent reputation in the field of conservation, restoration and reproduction of historic windows.We understand the nature of traditional stained glass windows and glazing and we have extensive experience of working in historically important buildings and churches using traditional methods and materials.